We’d love your help. Let us know what’s wrong with this preview of Shame by Gershen Kaufman. To ask other readers questions about Shame, please sign up. Shame: The Power of Caring, a thin volume on shame as experienced by children and carried into adulthood like a parasite, was published in 1980. I came across it in 2018 while browsing the internet for information about shame as research for a novel-in-progress. I bought a used paperback copy. The book arrived a few days later, and I began reading with my characters in mind. Suddenly, unexpectedly, the insights expressed in the book dredged up emotionally-charged memories from my own childhood. 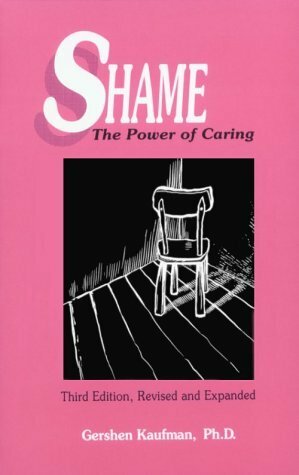 S Shame: The Power of Caring, a thin volume on shame as experienced by children and carried into adulthood like a parasite, was published in 1980. I came across it in 2018 while browsing the internet for information about shame as research for a novel-in-progress. I bought a used paperback copy. The book arrived a few days later, and I began reading with my characters in mind. Suddenly, unexpectedly, the insights expressed in the book dredged up emotionally-charged memories from my own childhood. Suffice it to say Dr. Kaufman’s 38 year-old book put language to feelings and memories that had been shadowy and murky before. The clarity that followed gave me distance and objectivity, despite some initial emotional pain. From the book: “Language provides us with tools of mastery when confronting the inner life.” I couldn’t agree more. Thank you, Dr. Kaufman, for a very productive session. Some interesting ideas here, but this book is out-of-date (decades old) and mostly written for a readership of therapists (or "psychoanalysts"). As a big fan of Gershen's work on shame, This book lays the foundation of the causes of toxic shame, shame spiral, and internalized shame. I read the psychology of shame before this one, and I found it more elaborate, more psychoanalytic toward constructing the shame profile. I recommend reading the psychology of shame instead of this one if you are interested in learning about the toxic shame. This classic on a fundamental aspect of all emotional suffering is a must read for anyone on the journey of finding their lost heart. Kaufman's writing is both profound and easy to grasp. He illuminates brightly what has for far too long lived in the shadows. Super wordy. Though there are pages of references in the back I had a hard time telling the difference between factual findings from research and his own opinions. I do greatly respect his thoughts and all the work he has done, but this book was tough to get through. Good information about shame binds, which was a very interesting concept to me. Interesting application to war in the final chapter. One of the best books that I have read on the subject of shame. Gershen Kaufman was educated at Columbia University and received his PhD. in clinical psychology from the University of Rochester. Professor in the Counseling Center and Psychology Department at Michigan State University, he is the author of Shame: The Power of Caring (Rochester, Vermont: Schenkman Books, 1992) and The Psychology of Shame: Theory and Treatment of Shame-Based Syndromes (New York: S Gershen Kaufman was educated at Columbia University and received his PhD. in clinical psychology from the University of Rochester. Professor in the Counseling Center and Psychology Department at Michigan State University, he is the author of Shame: The Power of Caring (Rochester, Vermont: Schenkman Books, 1992) and The Psychology of Shame: Theory and Treatment of Shame-Based Syndromes (New York: Springer Publishing Co., 1996). He is the co-author, with Lev Raphael, of Dynamics of Power: Fighting Shame and Building Self-Esteem (Rochester, Vermont: Schenkman Books, 1991) and Coming Out of Shame (New York: Doubleday, 1996).